Wide open fields, you and your mates, new bands and a few cheeky beverages – many of us have sweet memories of summer festivals gone by. 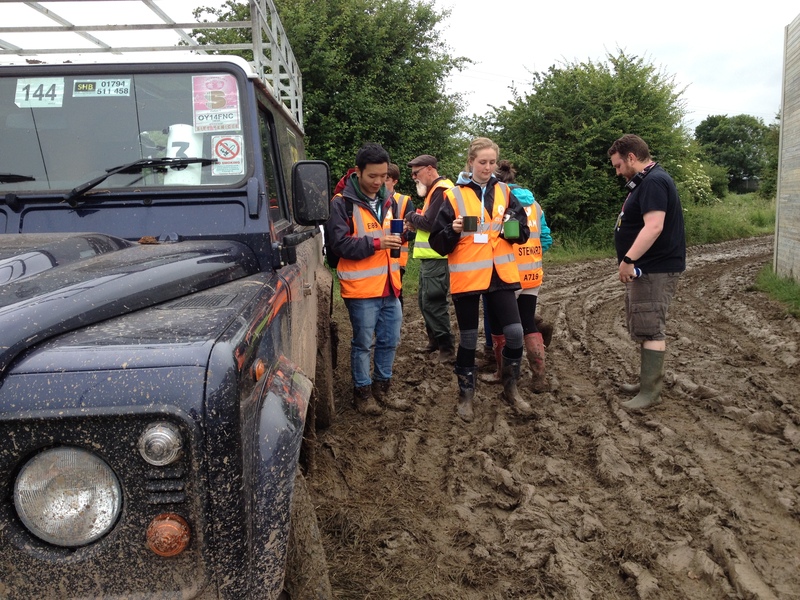 These days, the reality is a weekend in a muddy field will set you back over £200+. But there are alternative options. During a backpacking trip back in 2006, a girl a recounted a story of her volunteering at a festival. 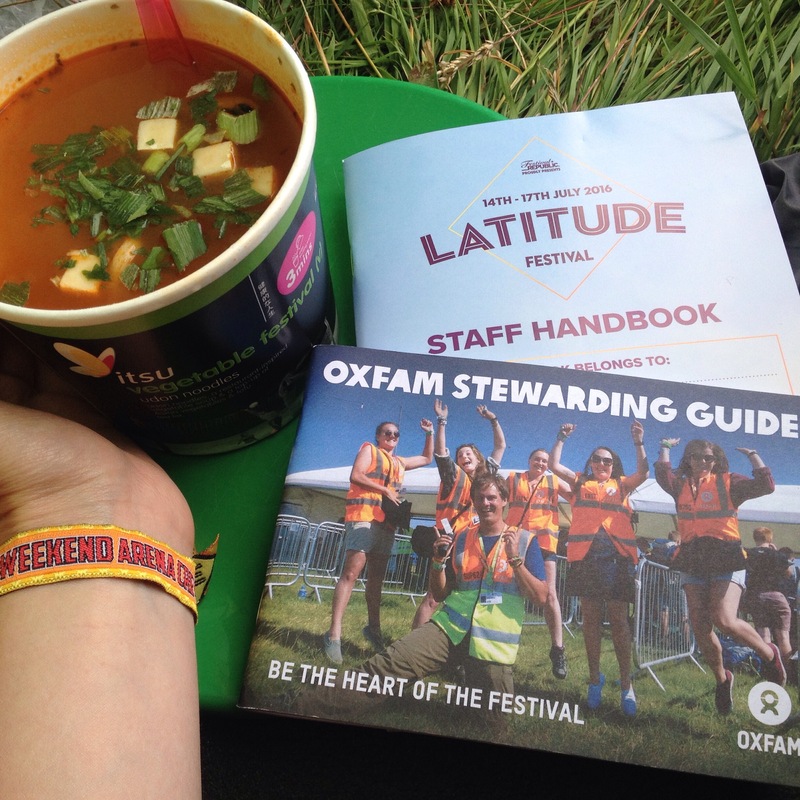 On returning home, I did a little research and applied to be a volunteer steward with Oxfam at the very first Latitude festival in Suffolk. I was 19 and had done very little volunteering before, and would be going on my own as my friends were already booked up for the summer. I turned up with my brand new tiny one man tent, incredibly nervous that I might be the only person solo and would I be out of my depth? I needn’t have worried – I ended up having the best weekend with the 50 or so volunteers – checking wristbands and tickets from laid back festival goers, meeting people from all walks of life and ages in the Oxfam crew camping area and getting to see a decent amount of bands at the festival. The next year I got priority application and stewarded at Glastonbury and WOMAD with my sister. 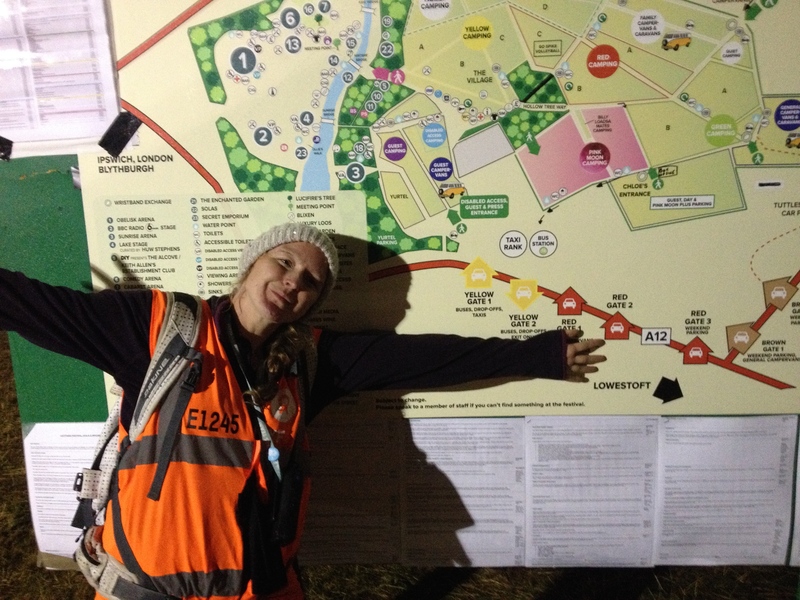 And in 2016, I returned to both Glastonbury and Latitude as a steward, 10 years later, which felt a little like a funny ‘full circle’ life moment. What is the deal with volunteer stewarding for Oxfam? Oxfam stewards provide the ‘eyes and ears’ of the festival. The majority of the time you will be answering questions and giving directions, occasionally you may have to deal with bigger issues. But there will always be a supervisor either within your area or available on a two-way radio. Plus festival security is usually within easy reach. Find out more about the different stewarding roles here. 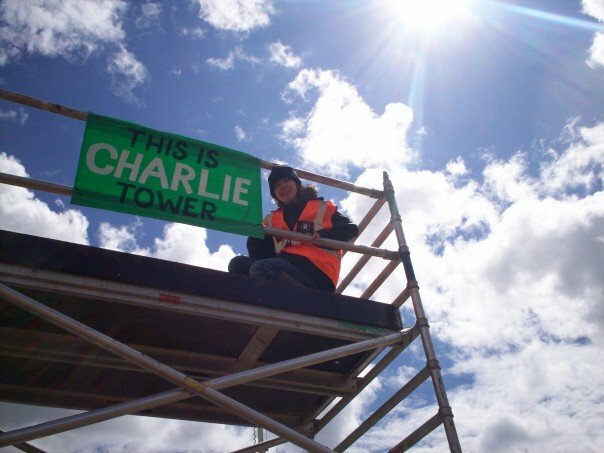 In the five festivals I’ve done for Oxfam, I have done ticket and wristband checking manned a fire tower and (due to my work experience with kids, which Oxfam ask for proof of) worked as part of the lost children patrol. Once you’ve been accepted and undertaken training, you are expected to do 3 x 8 ¼ hour shifts over the 5-7 days Oxfam is on the festival site. This is usually split into one day shift, one evening shift and one overnight shift with a half an hour break whilst on duty. The shifts will be allocated when you arrive on site and there is usually an opportunity to swap shifts if they clash with your favourite band (you may struggle to swap those dreaded night shifts, though). In exchange, you will be given a festival ticket and 3 meal tickets to be used once on duty. You may also get shower tickets, depending on the festival. So it’s no holiday, that night shift can mess with your head a bit, but it’s super rewarding and a unique way to experience a festival. 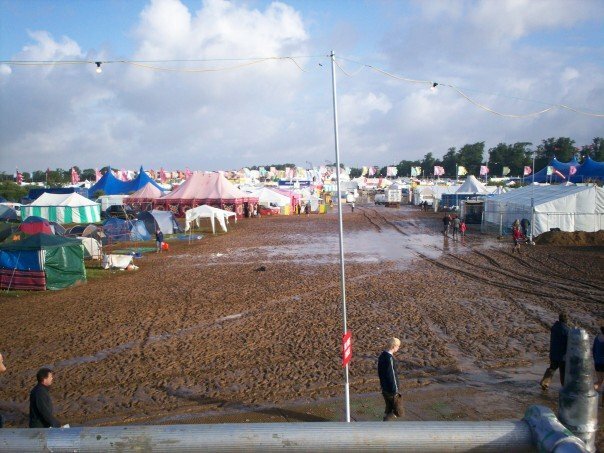 Also, instead of paying the stewards directly, the festival organisers donate the money to Oxfam, and by the end of the summer around a £1 million has been raised to help with the charity’s overseas relief work. So try something different and get involved this summer! 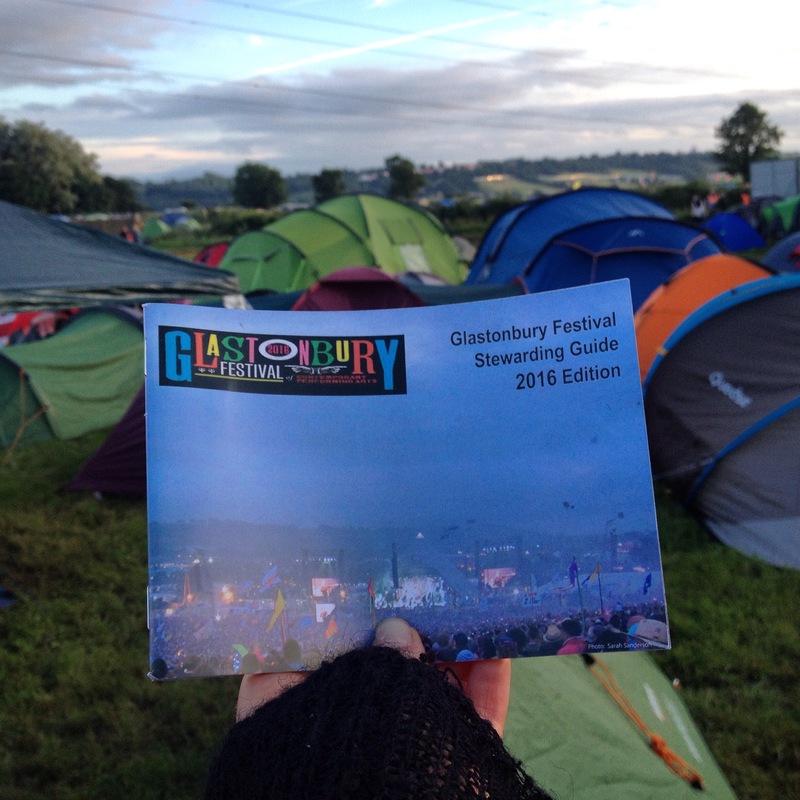 Tip In 2016 applications opened on March 17th at 11 am with Glastonbury volunteering places filling up within half an hour – so make sure you are ready and waiting on the day if you are keen for Glastonbury! Tip Previous festival volunteers (in the last 5 years) gain priority application, usually around a week before general applications open. What kind of festivals have you previously been to? Are you going solo or with groups of friends? If you going solo and would like a gentle introduction to stewarding, consider one of the smaller festivals such as Bearded Theory or Nozstock. Saying that, if your feeling adventurous just jump right into a bigger festival. Keep an eye on the Oxfam site to see where they will be this summer. Fill out the short application form, upload your photo and ask someone to be your referee. When festival volunteering opens, sign up to your festival and pay your deposit (the amount depends on how many and which festivals you apply for – the maximum is around £220) which will be refunded when you have completed all your festivals. (You must sign in at each shift you work as proof of attendance to get your deposit back). Once you have been confirmed for the festival, you will be required to go to an Oxfam training session. These are held in various cities across the UK and give an introduction to stewarding from using a two-way radio to dealing with lost children and emergency situations. If you aren’t driving to the festival, consider looking at a lift share site to see if anyone else is heading to the festival site. Also, join the Oxfam Steward Facebook group to get the lowdown from past volunteers. Alternatively, try to book the transport in advance for cheap train/National Express/ Megabus deals. I scored a £3 Megabus deal from London to Bristol for Glastonbury in 2016. As you will be arriving on site before festival goers, there is usually a shuttle provided from public transport hubs to the festival site. In 2016, Oxfam put on a school bus from Bristol Temple Meads Station (for around £20 return) and at Latitude a bus for all volunteers was around £3 each way. 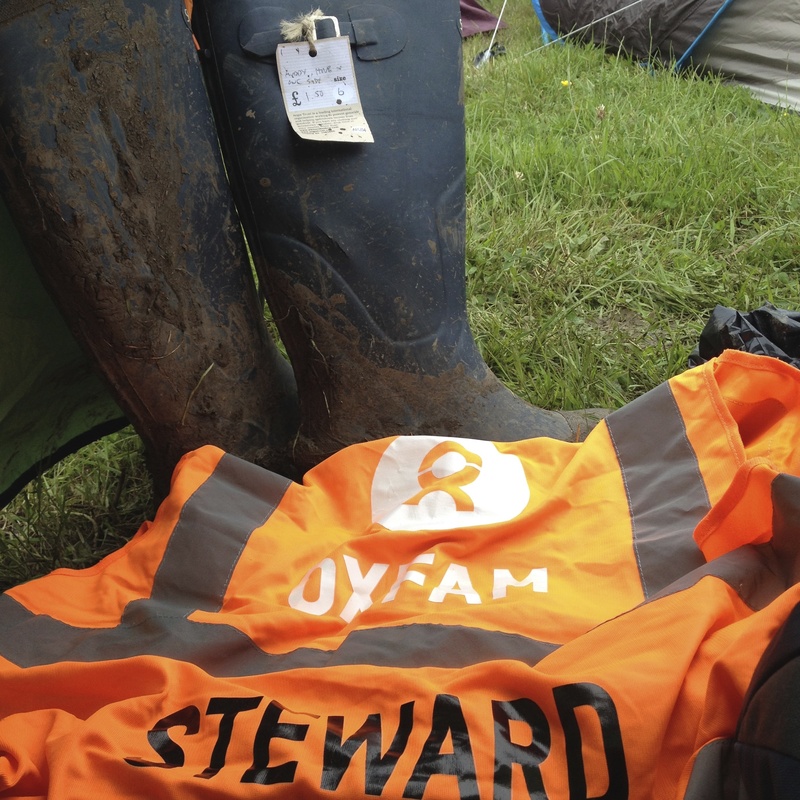 The usual festival kit list applies – tent, fancy dress, wet wipes, glitter, wellies – but actually working at a festival requires a few extra items such as an alarm clock, a plastic mug for hot drinks whilst on shift and plenty of warm clothes for that night shift. Don’t forget to pack your ID and festival volunteering or you won’t be let in! #7 Head to the festival, volunteer and enjoy! 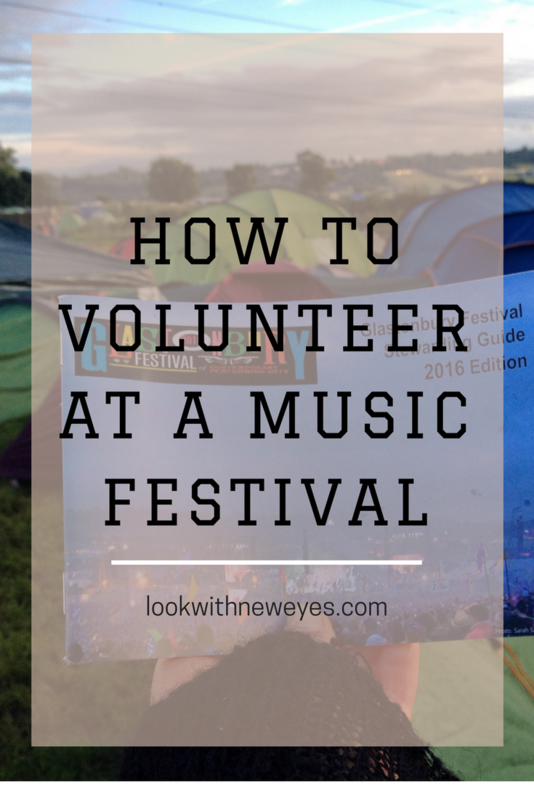 Have you volunteered at a music festival before? What was your experience like?